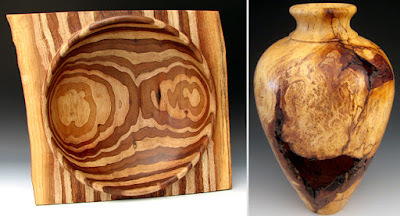 Wooden Works of Art Turned in Natural & Refined Magnificence. Wood Grain in All its Glory, in Shapes You Might Not Expect! Mother Nature was the truly the first and most powerful artist in our world, and how lucky we are that she yields beautiful materials for our use! 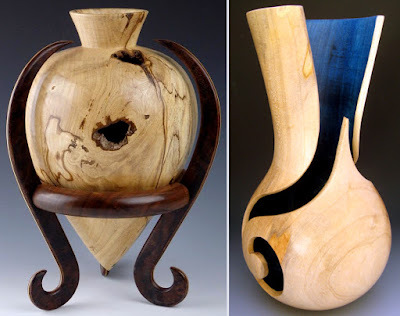 Craig Timmerman of Armadillo Woodworks bases his pieces off the wood that Mother Nature provides, using techniques that enhance and elevate this amazing natural element! 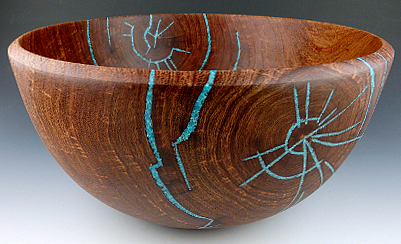 His main areas of focus are woodturning and bent lamination. Both allow him to achieve unusual shapes like bowls and other vessels. I love this juxtaposition using wood that is more commonly seen in the form of flat two by fours for building mostly flat furniture. The patterns in wood grain are often flowing and organic, so why not use that for inspiration instead of building something with straight, rigid lines? While this idea makes perfect sense, one of the main reasons we don't see more art like this is the time and strength is takes to be a master. 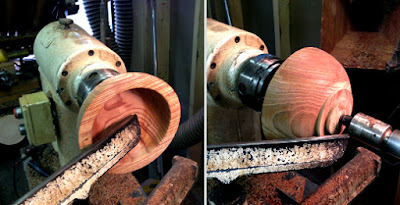 As Craig puts it, his chosen techniques involve a lot of "working with wood to get it to work with you.” Like many of my favorite local talents, Craig uses mostly reclaimed materials. I’ve always appreciated how dedicated and skilled artists can make masterpieces out of something otherwise forgotten. Craig and I share this perspective. With wood especially, he highlights how one can harness the “flaws” to guide the look of the finished piece. Craig’s strong passion for his chosen techniques leads him to spend plenty of time teaching as well. How lucky we are that this artist shares his talent through beautiful wooden pieces and lessons so others can help him carry on the tradition!